Flowers speak the language of the heart! 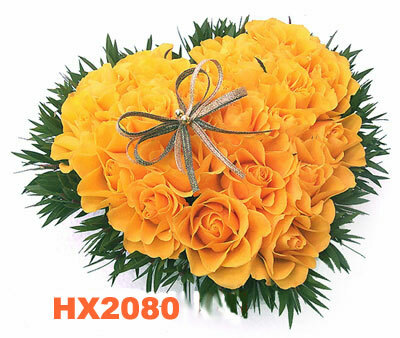 Show your loved o­ne she’s the best with our exclusive heart shape arrangement of 99 fresh cut yellow roses. This gift will surelly bright her day and bring a smile o­n her lips.